Google-ITA has just announced its second deal to distribute flight fare data—with rewards tracker site MileWise. ITA partnered up with travel site Hipmunk to power its fare results right before the flight data firm was snapped up by Google. ITA is a bigtime source of flight information and fares, which is why Google wanted them for its various flight info sites and services. 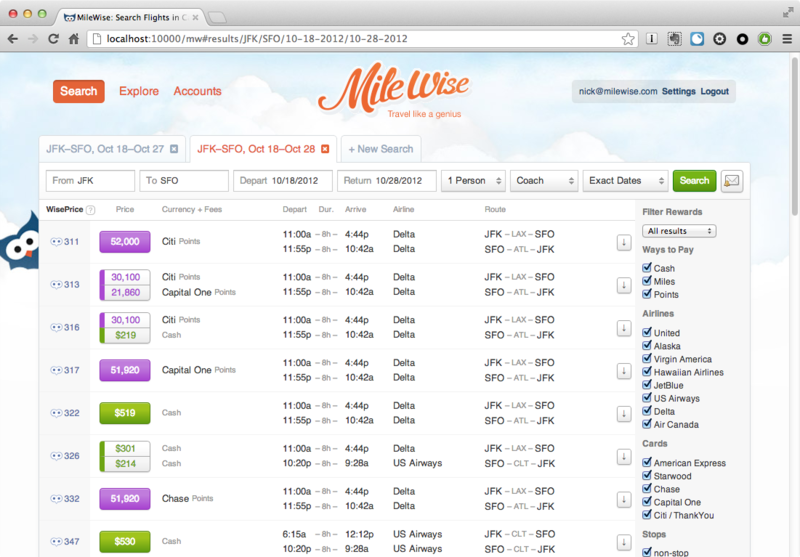 MileWise gives users real-time flight prices that can be paid for using cash, airline miles or rewards points. It also tracks those points programs, statuses and expirations. MileWise is using Google=ITA’s QPX in a variety of capacities, including Price Alerts. Today, they’re also announcing Combo fares, which are powered by QPX as well. Combo Fares are two one-way fares in cash, miles, or points combined into a single round trip. You can see an example of some Combo Fares here. 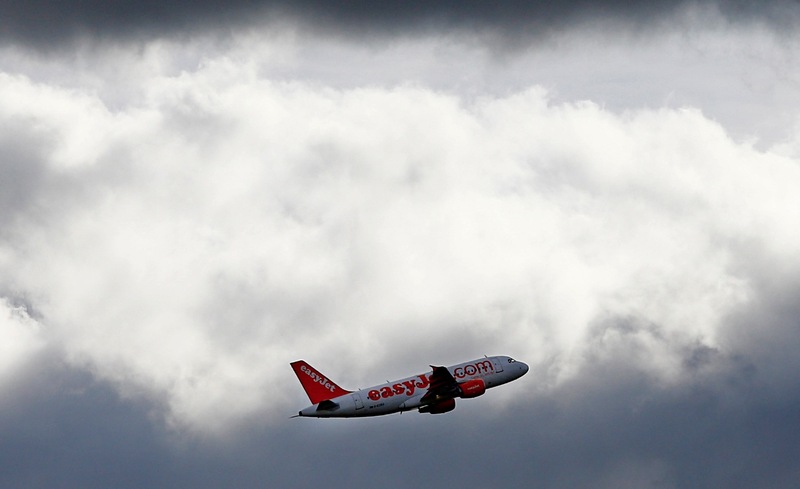 Combo Fares can be much, much cheaper. But they also open new possibilities for less-frequent travelers (who might not have enough miles for a full round-trip award ticket) to actually use their miles and points. Let’s say you happen to live in Boston and last weekend you were looking for a last minute Friday-Sunday get away to San Francisco. The cheapest ticket was $626 on US Airways. MileWise found a Combo Fare that pairs a $314 US Airways outbound ticket with a 12,500 United MileagePlus inbound ticket, for a WisePrice* of $532. That’s a savings of nearly $100. You can also combine various rewards programs like American Express and hotel offerings from Starwood or use Chase points for the trip out and Alaskan airlines for the return flight.